One of my favorite things in summer is watermelon! Not only is it delicious on it's own (especially seedless), but it makes a great drink, salad, or inspiration for a cute dessert! 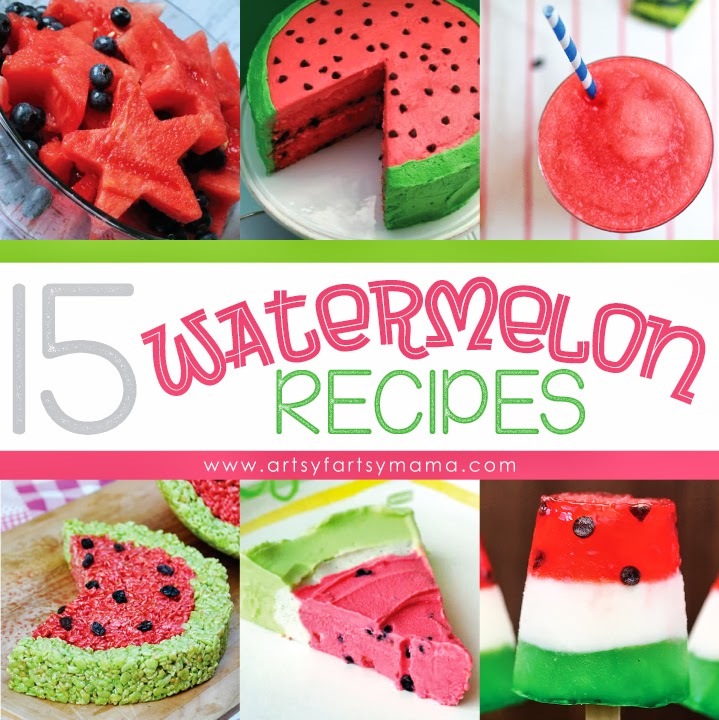 Today I'm sharing 15 watermelon recipes perfect for any summer party! 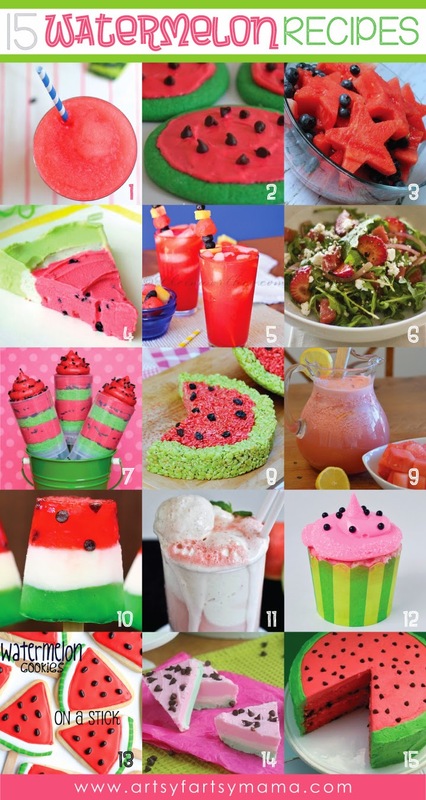 Watermelon is such a great summer fruit! So refreshing. I make stacks with watermeon, fetta and mint and it is really fresh and healthy, not to mention delicious. Oooo! That watermelon cherry limeade is making me thirsty. Thanks for sharing!